Now, Skike Rollerski permits one to use the well engineered all terrain sports device with cross-country bindings & shoes. 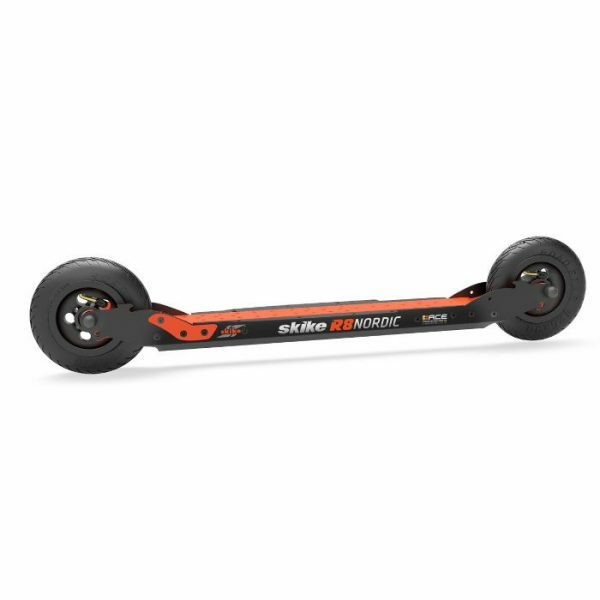 These new rollerskis are based on the proven Skike Technology. 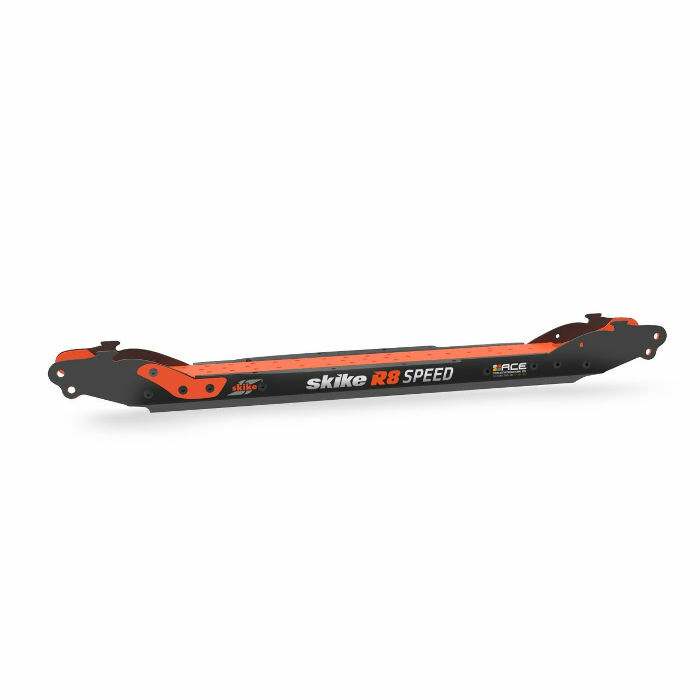 Through the consistent use of tried and tested frames in combination with proven country ski bindings the lightweight Skike Rollerski achieves optimal dynamics, provide a very good ground clearance & thus meets the long-awaited aspirations of all cross-country ski enthusiasts. The possibility of using different wheel sets provides additional control over weight distribution, run-ability & ground clearance. 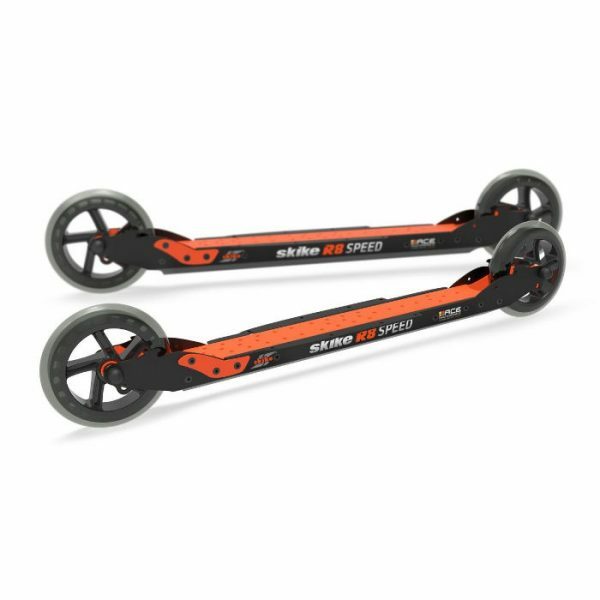 Those Skike rollski models that are equipped with pneumatic tires offer a higher protection of joints during outdoors adventures. 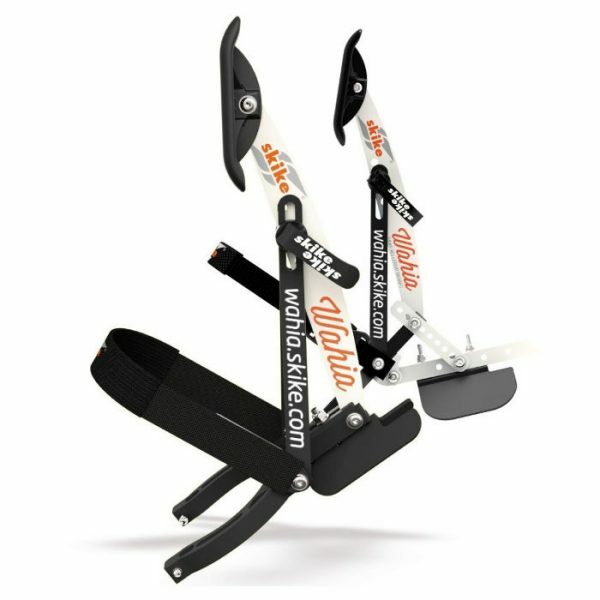 The Skike Wahia brake as a fully working and reliable brake provides safety for all Skike rollerski models. This R8 Frame Set will be suitable for SNS, NNN & NIS binding systems. When used along with the Wahia brake in classic-mode the axle screw set has to be utilized (ID 3858) no quick release. When used with 150 mm wheels the Vario adapter will have to be mounted to the frame for shoes exceeding size 43.